I’m also a traditionalist when it comes to pruning methods. To me, it seems like sacrilege to hack back much-loved rose bushes with a hedgetrimmer just to save a few minutes, when there’s little else going on in the garden. I’ve done this with vigorous wall-trained ramblers but bushes are different. Perhaps, it’s my Kew training, but I get a great deal of satisfaction out of thinking about where to cut and how to cut each stem to produce the best possible results. 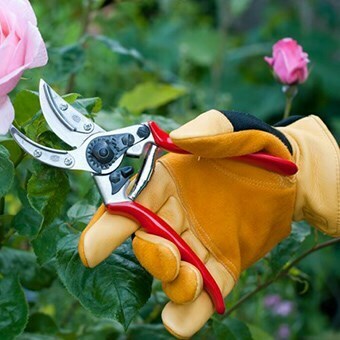 You see, rose pruning is much more than simply controlling the size of the bush. 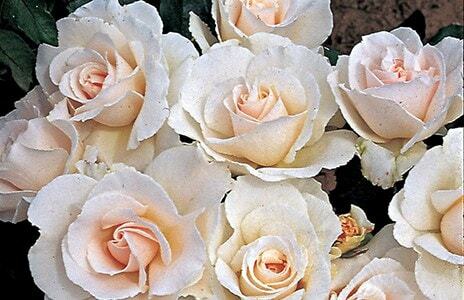 The pruning cuts you make will influence the rose’s health and vigour, as well as its flowering potential. I prune all my bush roses during late winter, before new growth starts. This can vary from year to year, according to the prevailing weather conditions. After last year’s long, cold winter for example, I didn’t prune until early March. But in milder years, it can be a month earlier. Pruning just before new growth breaks, means there is less risk of frost damage to pruned shoots and all the pruning can be done in one go. 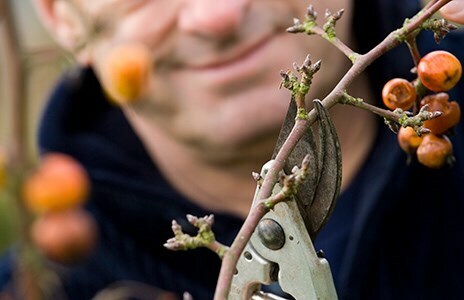 By leaving the pruning until then, means you’ll also be able to enjoy any brave out-of-season flowers and rose-hips over the winter months. 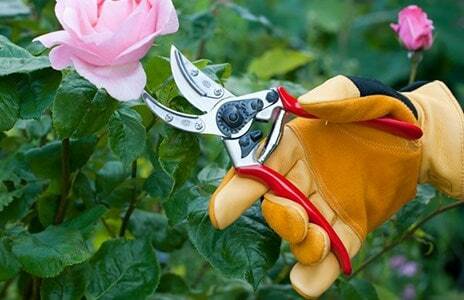 The secret to good rose pruning is to make the right cut in the right place. Each cut will wound the plant and expose the stem to disease. However, by making a clean, sloping cut in the right place you will speed the healing process, preventing infection. Each cut should be a few millimetres above the bud, sloping away, so the top of the slope is protecting the bud. If you cut too close to the bud you risk damaging it and if too far away, the resulting stump (known as a ‘snag’), will die back and may kill the bud. 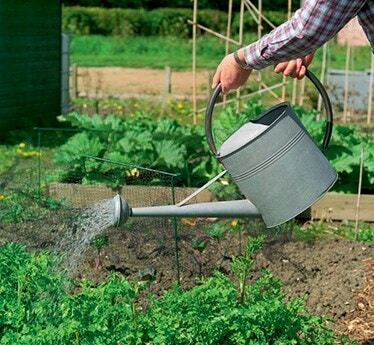 A sloping cut will shed water too, reducing the chances of rot setting in. 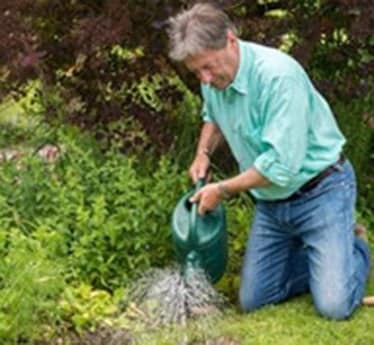 To achieve a well-balanced, goblet-shaped bush, make each cut above an outward-facing bud, so that new shoots don’t clutter the centre. 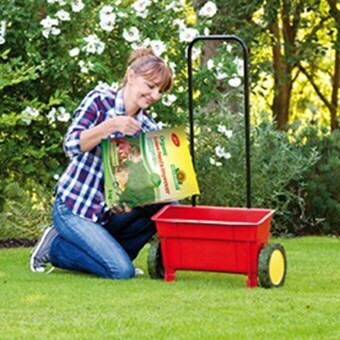 - Cut out any dead or damaged shoots. 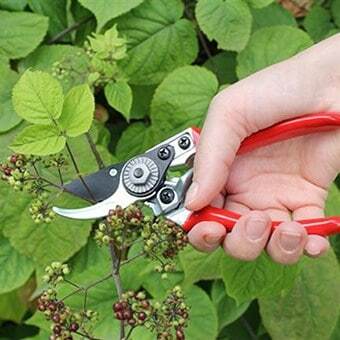 - Remove exhausted stems that are no longer flowering well. 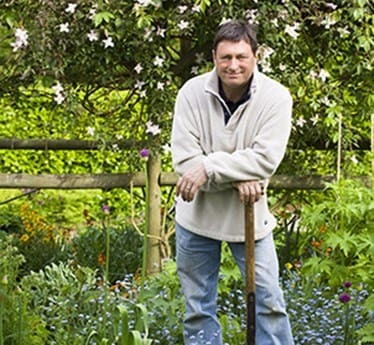 - Thin out the centre of the bush if it is overcrowded. 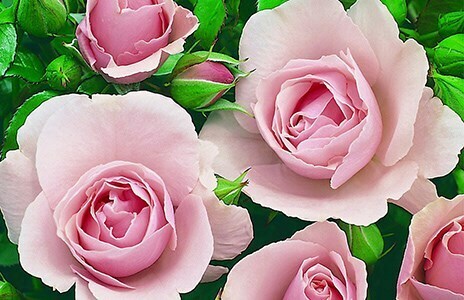 - Cut weak stems back by two-thirds. - Cut back all other stems to just about knee height. 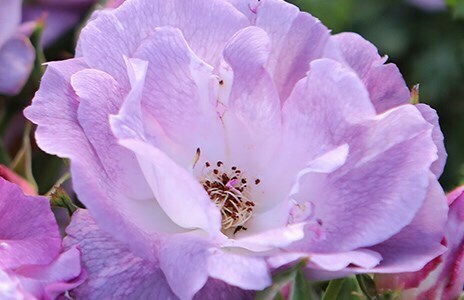 Generally larger in size, this group includes old-fashioned roses, shrub and species roses. 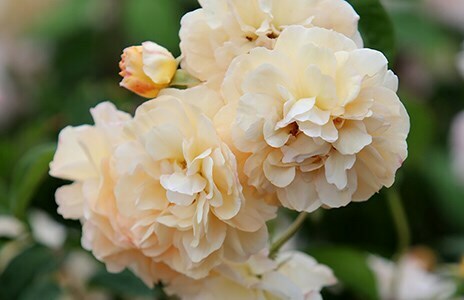 They tend to produce a large flush of flowers over a short period. 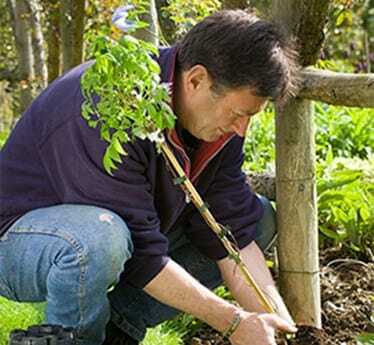 All require minimal pruning to keep healthy – just tip and thin! - Cut back overlong whippy shoots by a foot or so. 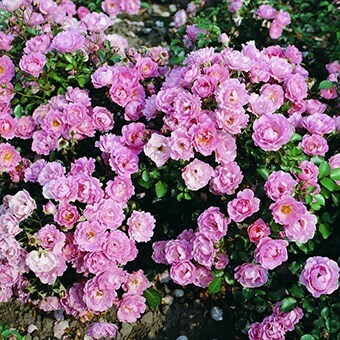 These are like the baby versions of bush roses…but, being less vigorous, they don’t require such drastic pruning.